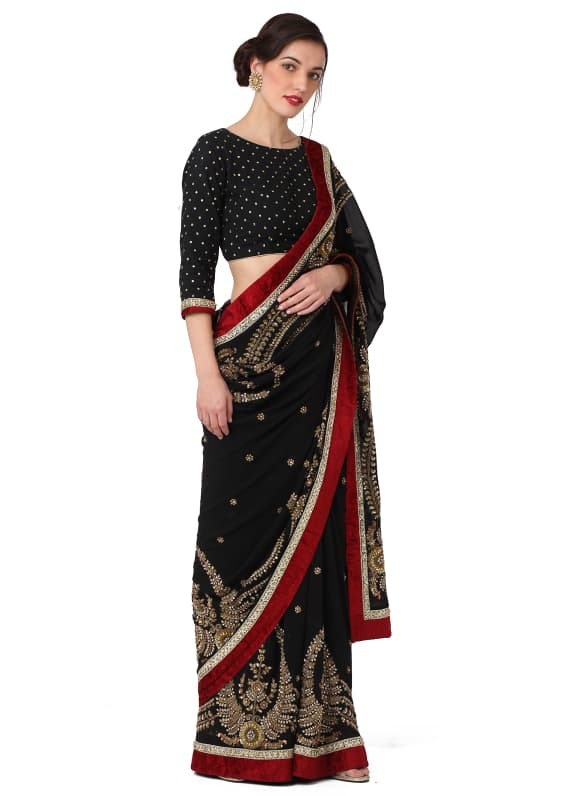 This black georgette sari comes with sequins, stones and zari work with a contrast red velvet border. It is paired with a black silk blouse. 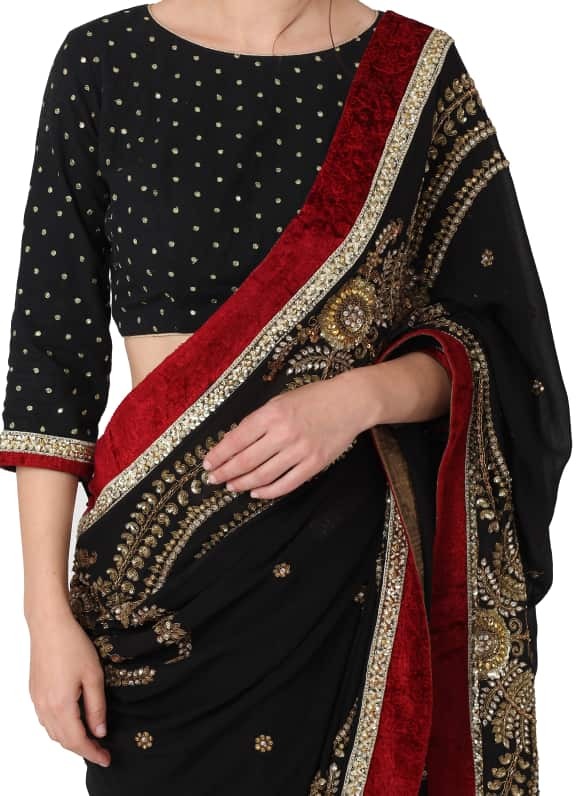 True to Sabyasachi's signature style, this rich black sari will surely be a head-turner at your friend's wedding or reception. Style your look with Amethyst earrings.